A team of scientists led by our researchers here at Bath has developed a new technique to predict the toxicity of an MRSA infection from its DNA sequence. With the MRSA superbug an increasing problem in hospitals and communities, this new technique could soon help clinicians better decide the best course of treatment for infections. Bacterial pathogens, such as MRSA, cause disease in part due to their toxicity, or the bacterium’s ability to damage a host’s tissue. In a study published online today in Genome Research, researchers used the genome sequence of MRSA to predict toxicity levels for individual bacteria. 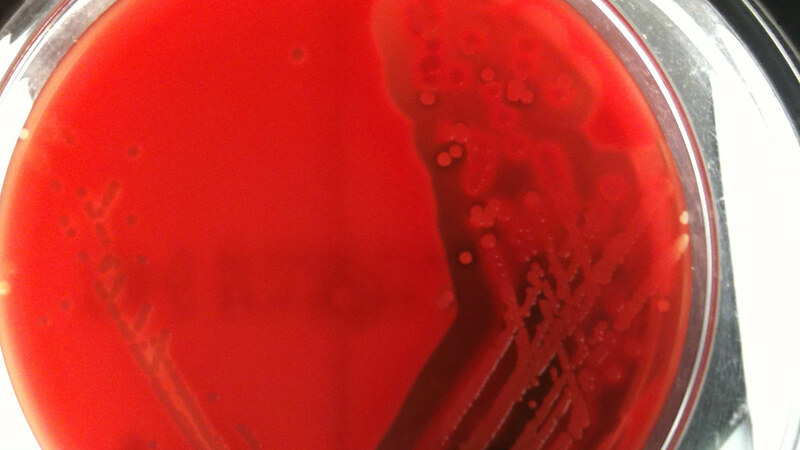 This new technique should enable clinicians to personalise treatment for individual MRSA infections. The study looked at the whole genome sequences from 90 MRSA isolates and identified 125 genetic mutations that made an individual isolate either high or low toxicity. The researchers were surprised to find that isolates from the same clone varied hugely in toxicity. They identified a common genetic signature shared by all the highly toxic strains. By looking for this signature, they were able to predict which isolates were the most toxic and therefore would cause severe disease. Lead author of the study, Dr Ruth Massey from our Department of Biology & Biochemistry, explained: “In the future as the cost and speed of genome sequencing decreases, it will become feasible to take a swab from a patient, sequence the genome of the bacterium causing the infection, and then use this to predict the toxicity of the infection. “Clinicians will then be able to tailor the treatment to the specific infection – this technique can tell them which combination of antibiotics will be most effective, or tell them which drugs to administer to dampen the toxicity of the infection. “The standard approach in studying MRSA’s toxicity has always been to focus on a single or small number of genes and proteins. However, this has not always been successful because toxicity is a complex trait encoded by many genetic loci. By looking at whole genome sequences we’ve been able to identify a number of new loci involved in toxicity. In addition to examining genomes of other MRSA strains, such as the particularly virulent USA300 clone, the authors are working to apply their methodology to other bacterial pathogens, such as Streptococcus pneumonia, a leading cause of deaths in infants and children under the age of five. Scientists from University of Bath, University of Exeter, Dokuz Eylul University, University of Nottingham, University of Nebraska Medical Center, University of Cambridge, Wellcome Trust Sanger Institute, Emory University, and University of Gothenburg contributed to this study. This work was supported by funding from the European Commission, the BBSRC, and a Royal Society University Research Fellowship. You can access the full research paper on the Genome Research website.